A poll commissioned by the Washington Post indicates that a large majority of Arab Israelis intend to vote in the upcoming elections — and most favor joining a government coalition. The results of the poll conducted last week by the University of Maryland showed that Israel’s Arab minority — some 20 percent of the population — is increasingly participating in national elections, and can significantly impact the right-left political balance in the Knesset and the makeup of the next Israeli government. The phone poll was conducted in Arabic in conjunction with Israel’s Statnet Research Institute on March 10-12, and surveyed 713 Arab Israeli adults. The response rate was 58 percent, and its margin of error was 3.9 percentage points. According to the results, 73.1 percent of Arab Israelis said they intended to vote in the April 9 elections, while 23.4% said they would not. Some 77.5% respondents said it was important to vote, even in light of the nation-state law, the controversial legislation passed by the Knesset last year that enshrined Israel as the Jewish homeland and angered the country’s non-Jewish minorities. The results showed a steady increase in Arab voter turnout in recent years. In comparison, 63.5% of Arab Israelis cast their ballots during the 2015 election (polls conducted ahead of that election indicated that 69% of Arabs intended to vote). 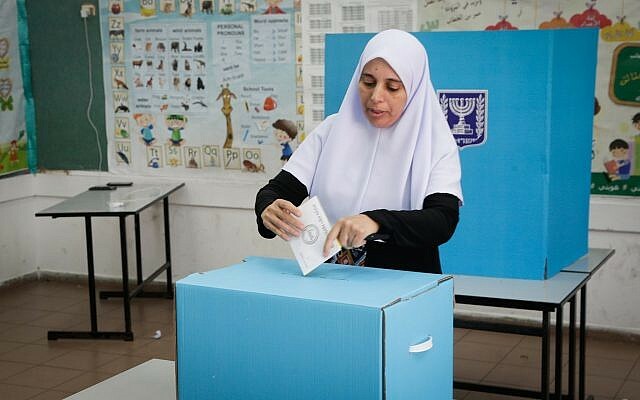 In 2015, the newly formed Joint (Arab) List managed to win 13 seats out of 120 in the Knesset thanks to the significant increase in Arab voter participation from the previous election in 2013, when fewer than 55% of Arabs turned out to vote. The poll revealed that a large majority of Arab Israeli voters support joining the governing coalition after elections, even as the leaders of the largest political parties insisted they would not invite the Arab parties into their government. If offered the opportunity, 73.1% of respondents said they backed Arab parties joining the government, while 21.1% said they opposed it. Arab Israeli politicians have long objected to joining the government and have never been invited into a coalition, though some — including Hadash leader Ayman Odeh — have recently suggested they could aid center-left candidates, under certain conditions. 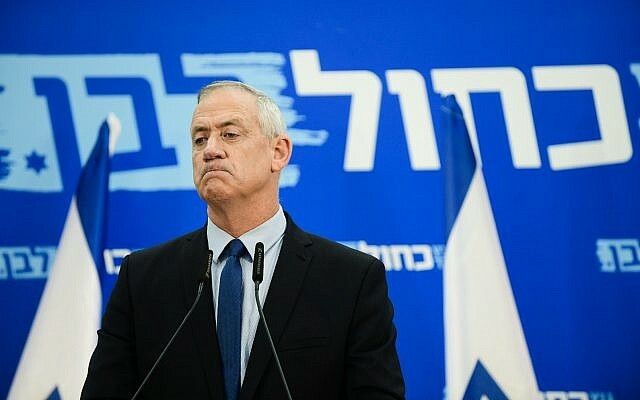 Benny Gantz’s pledge not to include Arab parties if his centrist Blue and White faction won the election did not appear to faze Arab voters, as just over half, at 54.1%, said they believed it was still possible. The poll also showed that individual Arab parties would garner more support from their constituents if they ran together as the Joint List, rather than individually. 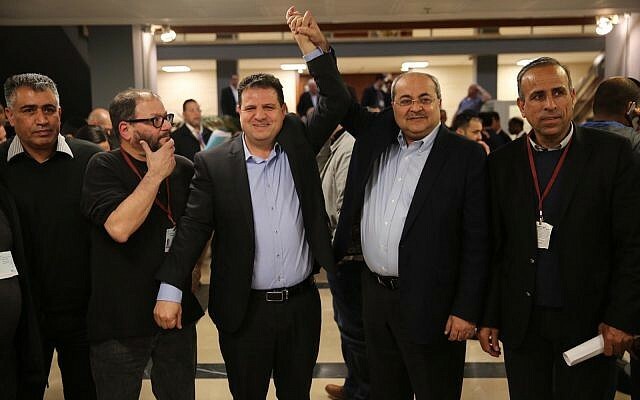 Last month, the Joint List split the four major Arab parties into two competing groups, raising concerns the already disenfranchised minority could lose what little clout it had in the Knesset. Hadash is now running with the Arab Movement for Renewal, or Ta’al. The more religious Ra’am, or United Arab List, has allied itself with the nationalist Balad. In 2015, 82% of Arab Israeli voters cast their ballots for the Joint List, but according to the poll, this year 63% of Arab voters said they would vote for the smaller Arab party lists. The remaining 37% of voters said they would cast ballots for Jewish-majority parties with Arab candidates in relatively secure positions. Of those remaining votes, 15% said they planned to vote for Blue and White, 10% for Meretz, 4% for the Likud, 2% for Kulanu and 1% for the Labor party. 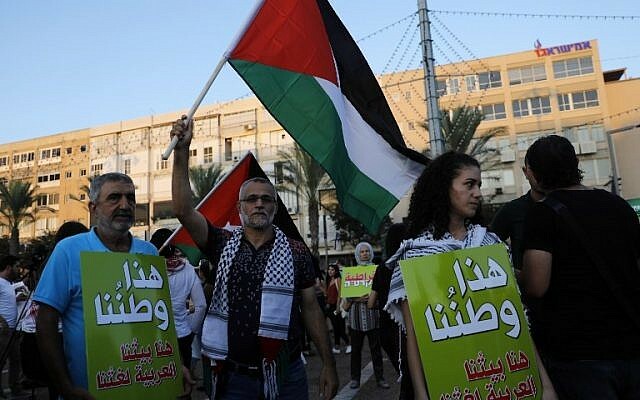 Polling by the Israeli Democracy Institute and others shows that a majority of Arab Israelis are proud to be citizens, but nearly all feel that they suffer discrimination when it comes to housing, education and economic opportunity. Last year’s law defining Israel as the nation-state of the Jewish people inflamed tensions among the country’s Muslim, Christian and Druze citizens. Meanwhile, as Netanyahu faces a tough challenge from Gantz’s Blue and White, he has repeatedly lashed out at both Gantz and Israel’s Arab minority. A central part of Netanyahu’s campaign against his prime challenger has been his allegation that Gantz wouldn’t be unable to build a coalition without the backing of the Arab parties. Arab parties have never sat in an Israeli coalition government, but have supported minority governments from the outside. Earlier this week, Gantz confirmed that he would not engage the Arab-majority parties in his efforts to form a government. Speaking to a crowd of some 500 people in the southern city of Beersheba, he said he was open to sitting in a coalition with “anyone Jewish and Zionist,” apparently ruling out non-Jewish minorities as potential partners. In interviews with Israeli television on Tuesday, the former IDF chief of staff again ruled out courting the Arab parties.